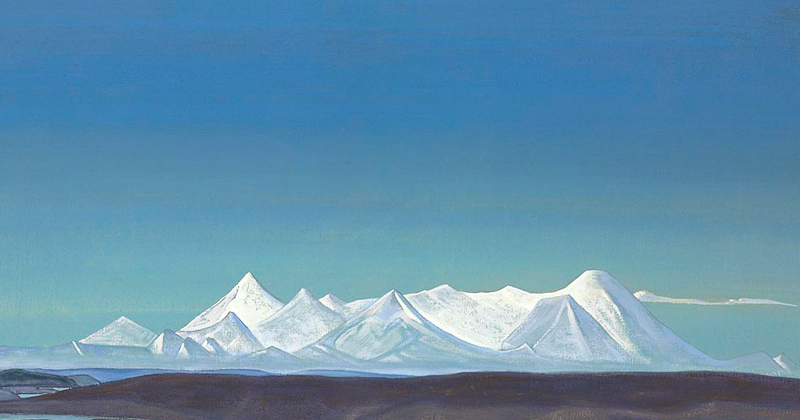 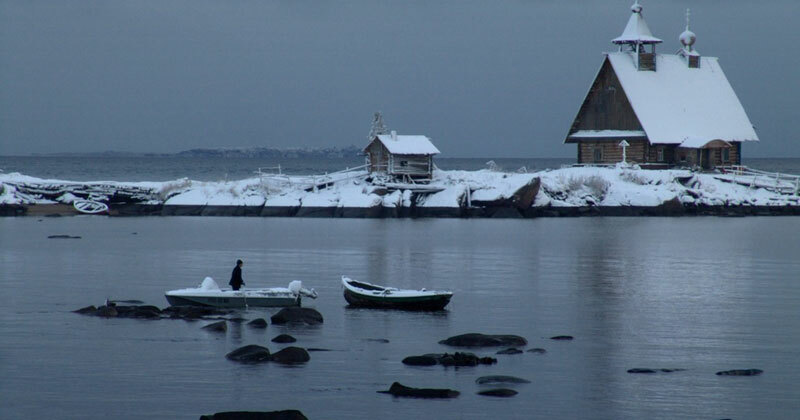 Nicholas Roerich, The Greatest and Holiest of Tangla. 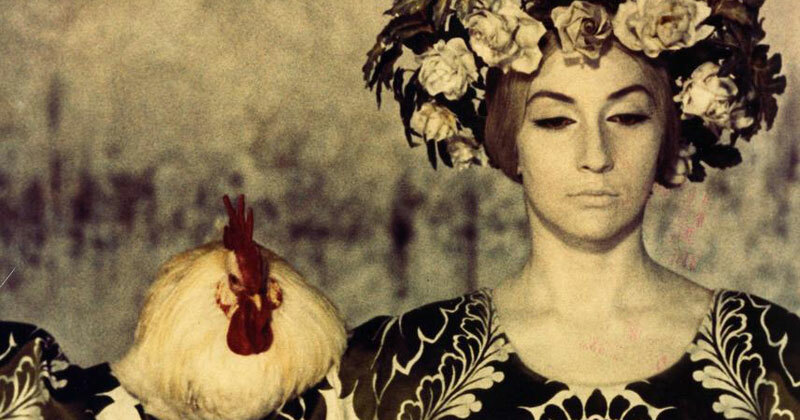 Sergei Parajanov, The Colour of Pomegranates. 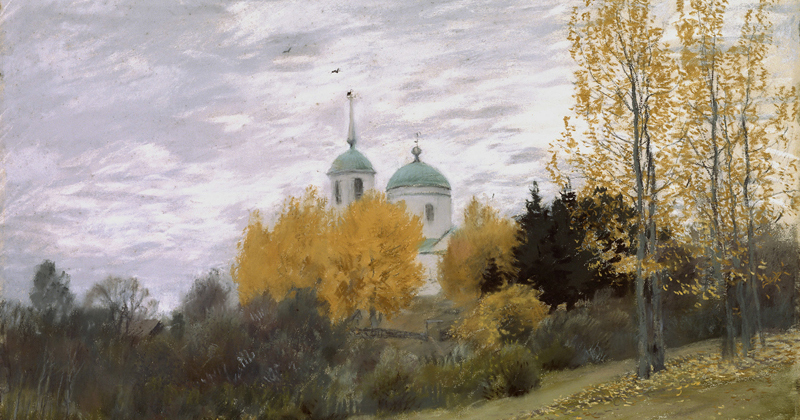 Isaac Levitan, Autumn Landscape With a Church. 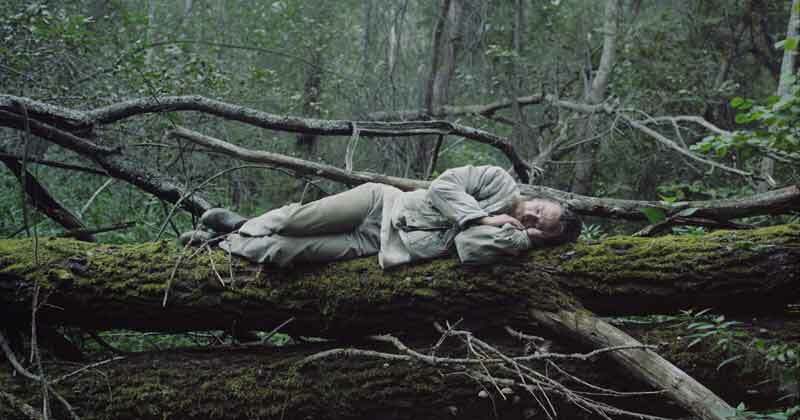 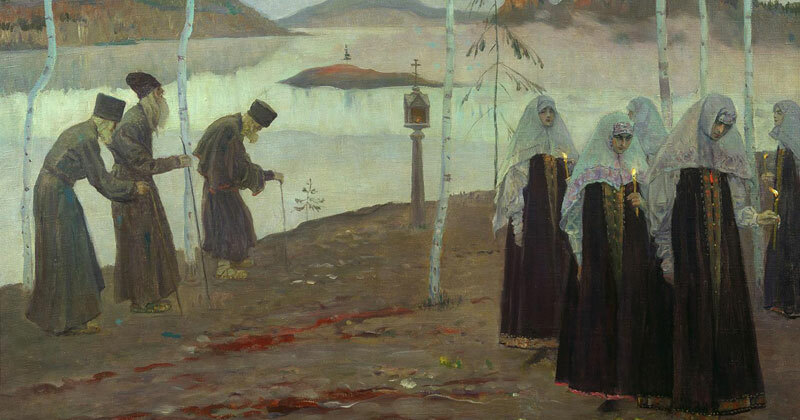 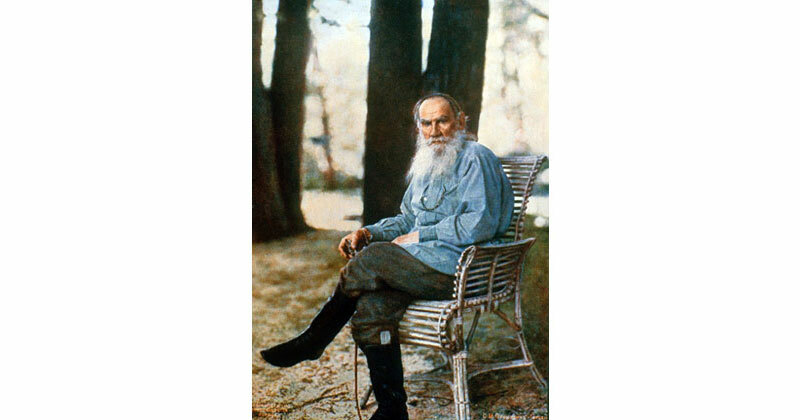 Mikhail Nesterov, Hermit Fathers and Immaculate Women.